When you want to change your look, all you need to do is change the makeup you wear and get a new hairstyle. When you want to change how your ecommerce business looks, all you need to do is hire OCDesignsonline to create a custom ecommerce design package for you. 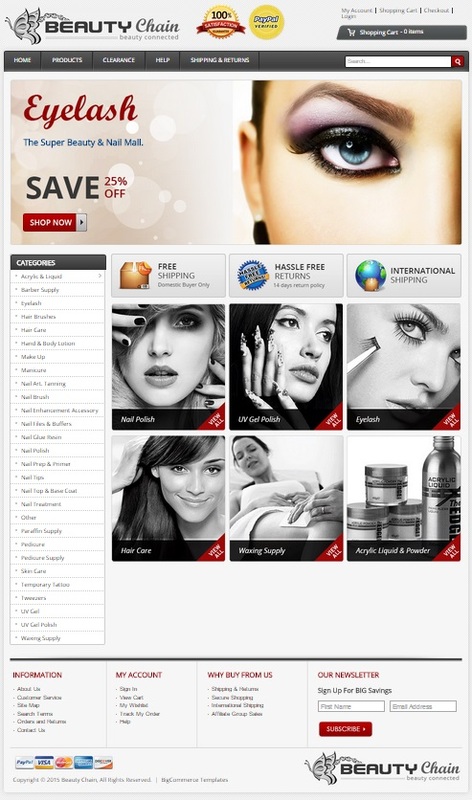 We helped our client, Beauty Chain to give their ecommerce strategy a makeover. We’re pleased with the results, as the look is a professional and streamlined set of ecommerce stores that have assisted them in boosting sales. We created matching stores on both a traditional ecommerce platform and an eBay ecommerce platform as well as a custom listing template for eBay. They came out great. When you hire OCDesignsonline to create a custom platform for your business, we take great care to listen to your desires and needs. We believe it is important that customers be able to find you, that you are able to afford our services, and that customers can find your products once they have arrived on your site. In the sites we created for Beauty Chain, we focused on ensuring that customers could tell within moments of arriving on-site that the store’s main products were upscale luxury beauty items at a discounted price. We conveyed this using header images categories, and SEO keywording. We used a slideshow header for our client’s eBay page to help demonstrate to their customers the full range of products they offer. We want to make it easy for customers to find those items for which they search when they land on site. Not only can customers click on the hyperlinked images in the slideshow, but they can also click on the category image buttons to navigate the site. Additionally, we used sidebars to help make navigating while on category pages easy. The sidebar categories also give a more detailed rundown of the types of product categories available on our client’s site. When you’re looking to boost sales and make an impact, you need an eBay listing template to encourage customers to browse your site further. We created a mobile responsive template so that customers can find the information and products they need from any device they may happen to use. Our templates make it easy for customers to browse deeper into your site after viewing or purchasing a product, and thus, they boost sales. 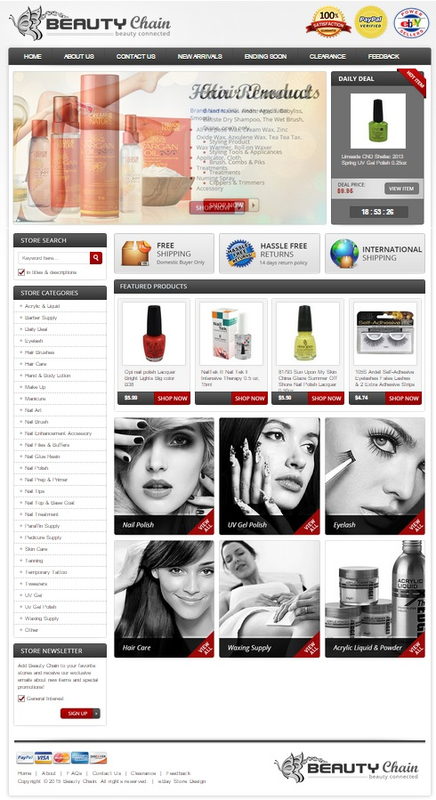 At OCDesignsonline, we have a wide array of eBay listing templates to choose from on our site. We knock $400 off all of our ecommerce and eBay site design packages to help you save money while making a big impact. Take a moment to browse our portfolio and request a free quote. Also, don’t forget to find us on Facebook, follow us on Twitter and check out our Google+ Page too!